A Very Long Time Ago Tee Design Review. The A Very Long Time Ago tee design is for Star Wars and Gremlins fans. This concept is effing hilarious and clever. If you have ever wondered what the love child of Yoda and an Ewok would look like, this is it. Whether you wanted to think about that or not. But that is not the funniest or even most disturbing part. Check out how creepy Yoda looks with his bulging eyes and old man pipe. It's like viewing one of those post-mortem photos. Add all of those elements together and behold, one of the greatest pop culture tees of all time. 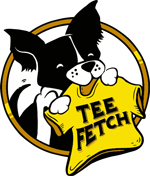 If this tee looks familiar, it is because the design used to be sold at Threadless... (Also) a long time ago. As for the artwork, it is drawn in a cartoon style that is made up to look like an old early photograph from the Victorian Era. Think Conté Crayons on cardboard. The shading and highlights are superb. The facial expressions are on par with damn near all the old time portraits. Probably because people had to be still for a long time for the photographic plates to be exposed. At first, it took roughly 15 minutes. Then just a couple years later it was down to a couple of minutes. Which is still a long time to have to strike a pose. That and people back then were ashamed of their teeth due to the lack of dental care and hygiene. Either way, Vintz nailed it. 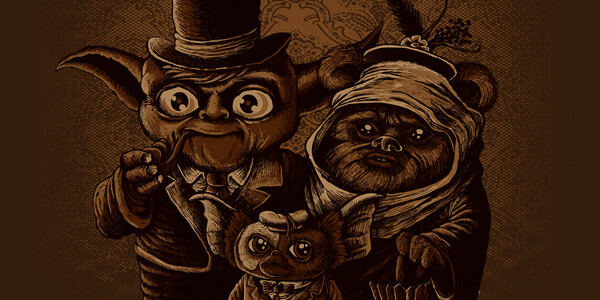 This tee is for any Star Wars and Gremlins fans or at least of the cute Mogwai form. Wear this tee everywhere that tees are appropriate. It would make a great conversation starter at Comic-Cons and Sci-Fi conventions. A Very Long Time Ago Tee Design by Vintz.